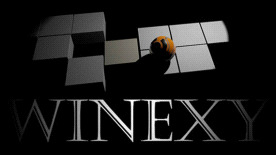 Winexy is a realistic 3D rolling ball game with a simple gameplay and entertaining action. In the game you will have the opportunity to play several types of balls, all the balls will have different physics, skins and abilities. All the balls are made of different materials and in some situations you will have to take this into account. If u play metal ball and go through the flame you will get zero effect. But if you take the wooden ball it will burn and it can inflame other things on the level. The game is divided into several locations that are very different to each other. The difference is not only in weather and texture color. The main difference is the type of the level structure. We have classical speedrun levels, maze levels and levels with some kinds of puzzles.